5.15.17 | NEW COFFEE CAKE FLAVOR OUT NOW!!! Perfect for anytime! 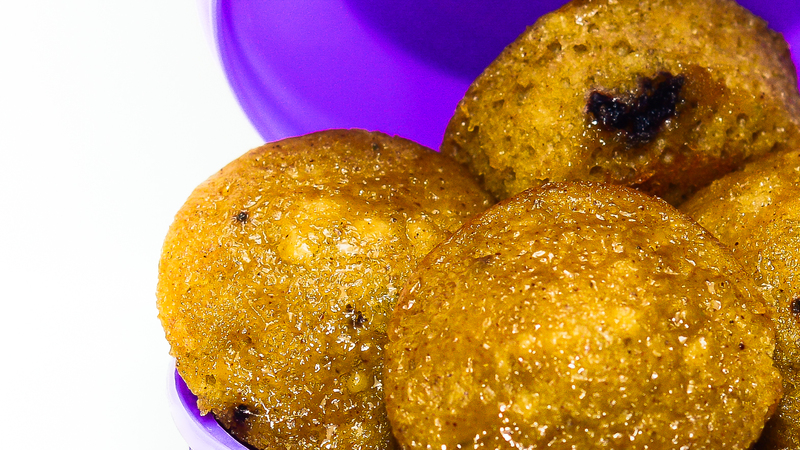 Our muffins perfectly compliment breakfast, lunch, or dinner or as a snack anytime of day! Enjoy them with coffee, tea or milk. As a dessert treat in the evening, or in the morning to cruise through the day! • Two dosage levels, 35mg & 50mg (approx.) per muffin. 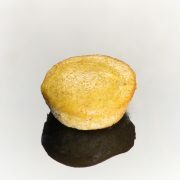 • We offer three packaging options including Single muffins, 3-Packs, and 8-packs. 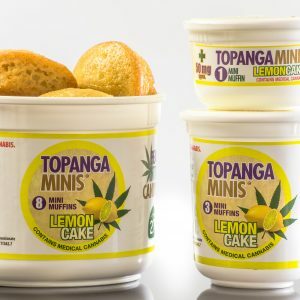 This offers patients the opportunity to find the right dosage level to alleviate their symptoms, from as low as 35mg in a single muffin all the way to 400mg. 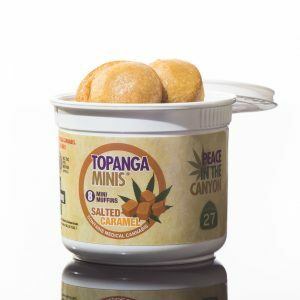 in an 8-Pack of 50mg muffins. 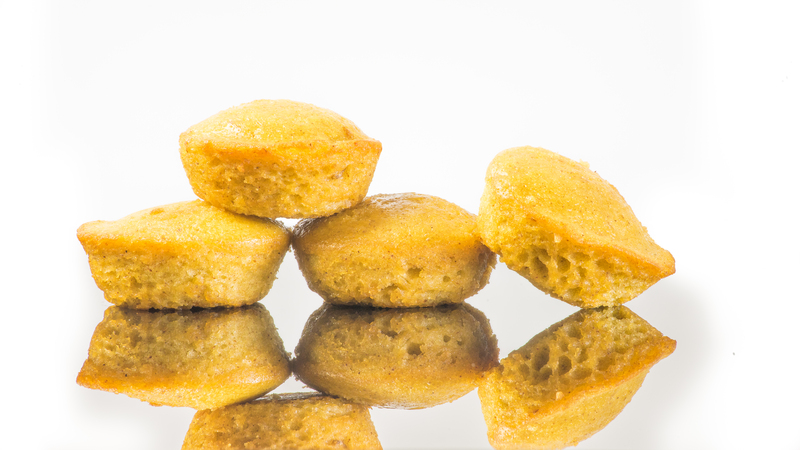 • The muffins are made with our proprietary cannabis-infused organic coconut oil, which is a hybrid sativa blend. Most people describe the effect as “delightful, mellow, happy yet functional.” Our oil is lab-tested to ensure no pesticides or other harmful ingredients are present. • Shelf life is very good. We bake all of our muffins fresh to order, and the packaging is virtually airtight. We also include food-safe oxygen absorbers in each container to reduce risk of mold. 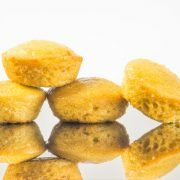 Usually our muffins stay fresh for up to 6 weeks if stored outside of a refrigerator, and longer if refrigerated or frozen. PLEASE ENJOY AND MEDICATE RESPONSIBLY. We strive to be outstanding members and ambassadors of the cannabis community, and society at large. We treat people as friends, neighbors and family, with openness, generosity, and respect. This extends to our environment and all of its inhabitants, human and otherwise. 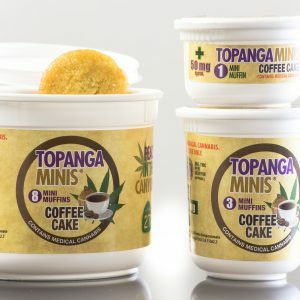 Topanga Team on 5.15.17 | NEW COFFEE CAKE FLAVOR OUT NOW!!! Jill Abraham on 5.15.17 | NEW COFFEE CAKE FLAVOR OUT NOW!!! Dakota on 5.15.17 | NEW COFFEE CAKE FLAVOR OUT NOW!!! 12.5.17 | SALTED CARAMEL FLAVOR OUT IN STORES!! 12.15.17 | NEW CHOCOLATE CAKE FLAVOR OUT NOW!!! 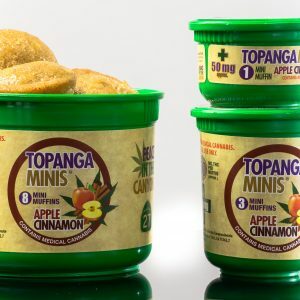 Topanga Harvest makes premium quality medicinal cannabis products. 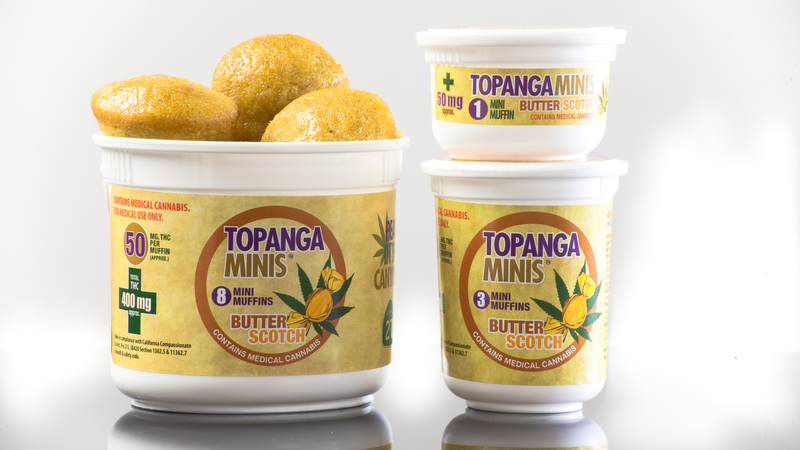 Our focus is on edible products that are effectively potent and truly delicious.